Welcoming our new Finance Manager! In September we welcomed Finance Manager, Alison Bowyer into the Pharmacist Support family! Her role is completely new to the charity, as we looked for someone to take on the overall management and development of our finance and HR functions full time. 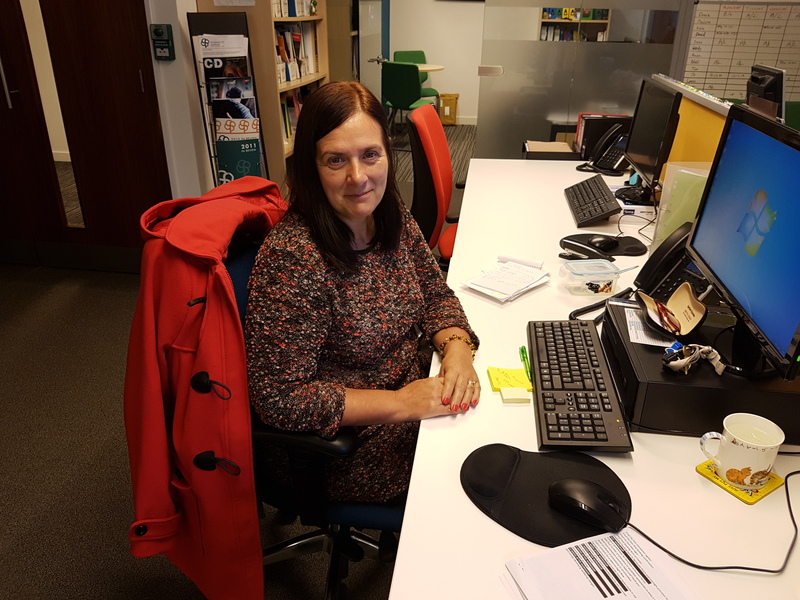 Originally from South Wales, Alison moved up to Manchester in 2014 and has previously worked with Manchester Enterprise Academy, Oldham Care & Support, Gwent Association of Voluntary Organisations and the Newport Intellectual Property office. I enjoy working in the Charity sector as you can make more of a difference to individuals than in larger private companies. I’m looking forward to developing the new role over the next few months/years and understanding the world of Pharmacist Support! I enjoyed attending the Pharmacy Show in Birmingham which gave me an insight into the services provided by the organisation. Some of you may have already met Alison… but you may not have realised it! 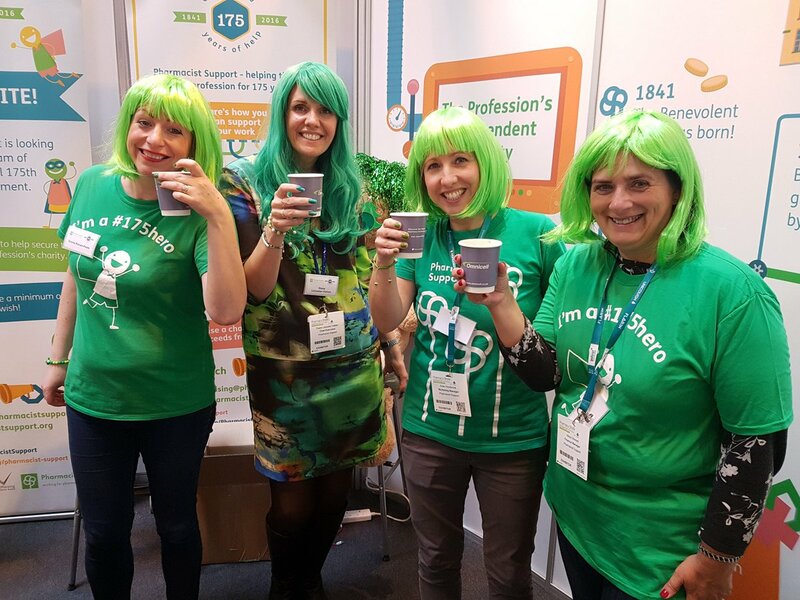 Within a week of starting in the Pharmacist Support office, we had her donning a green wig at the Pharmacy Show to help promote our GoGreen4PS campaign! Welcome to Team PS, Alison!